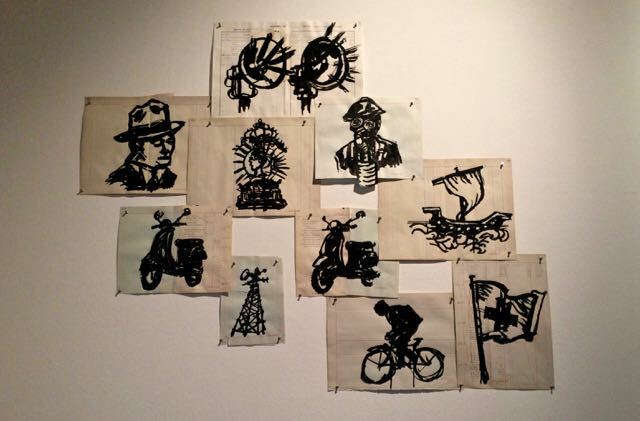 I have been a fan of South African artist William Kentridge for a long time. 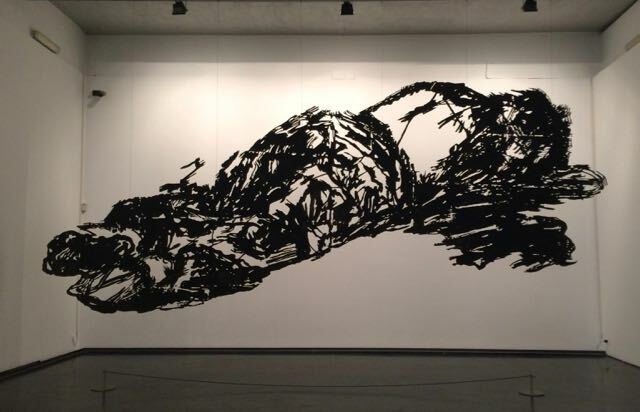 His complicated works, so full of movement are both whimsical and provocative. 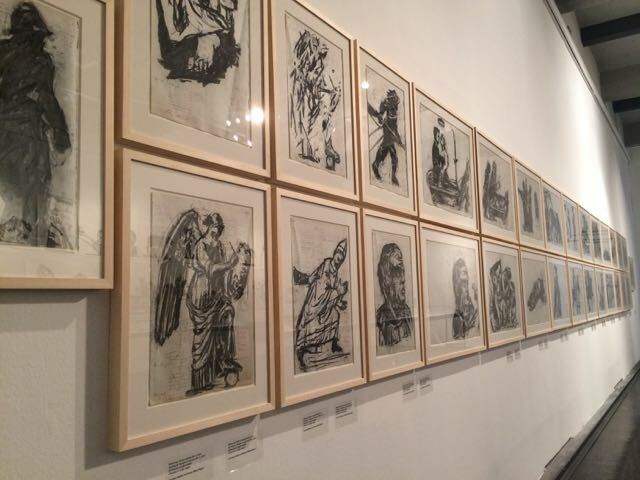 Luckily for me Kentridge has a close relationship with Rome. 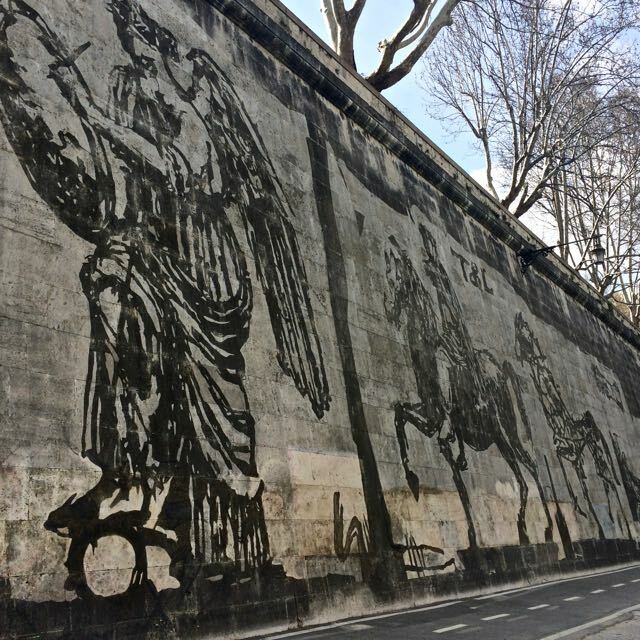 His most recent project, which has been getting a lot of attention is an astonishing 550 meter long frieze that unfolds along the flood blanks of the Tevere river called Triumphs and Laments. 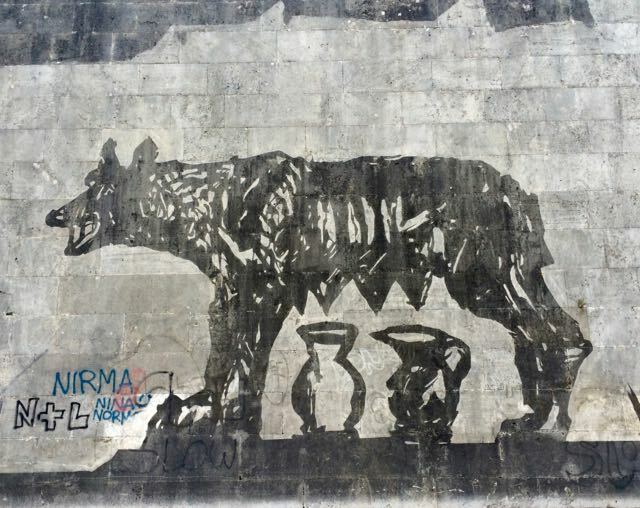 Set between the Ponte Sisto and Ponte Garibaldi bridges the images of Roman history are reverse graffiti created by washing away the grime to leave an image. 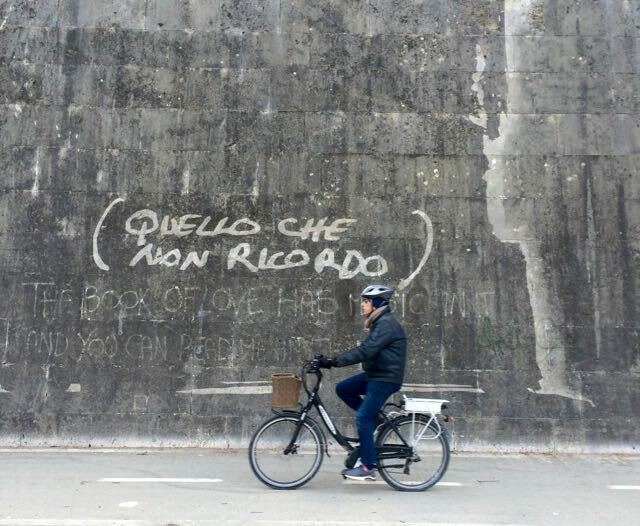 It is absolutely extraordinary and it is a delight to walk along the river and decipher the images both ancient and modern ranging from Bernini angels, to Rome's iconic she-wolf to a murdered Pasolini. This large scale public art project is there for you see 24/7 until it literally disappears under a new layer of Roman grime. You have about a decade. If you would like a closer, more detailed look at the process behind the work visit Project Rooms #1 and #2 at the MACRO museum on via Nizza. There are scale models of every figure of the frieze sketched and as intricate paper cutouts as well as a few full sized stencils. 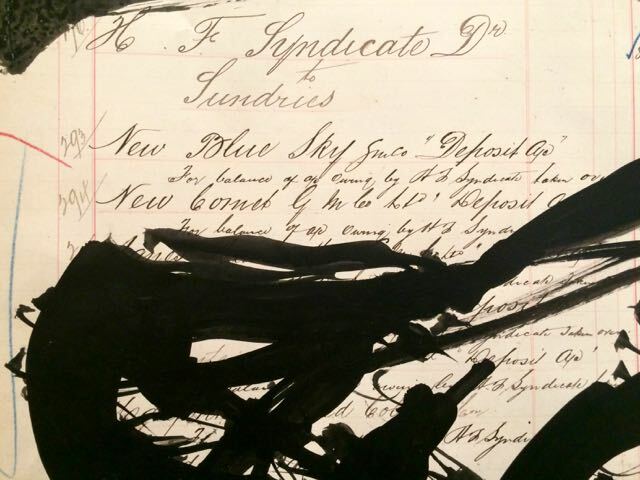 Many of the scktechd are done on the pages of old South Africa ledger books from the late 1800's with Kentdridge's own hand overload on the deliberate flourish of script detailing storeroom stock. There is also an inventive and amusing short video where the artists describes his vision. This is a very small exhibit, but packed with detail. You have until October 2. This is so inventive! Kentridge is a remarkable artist and it was interesting to work with him when he came to the Met to design and direct "The Nose" (an opera by Shostakovich). (He also directed Lulu last season which I sadly was not in, and even more sadly did not get to see. I hear it was amazing) HIs artwork for the stage is astounding. He painted many of the costumes, and my only disappointment was that even though my costume (a beautiful beige linen suit) just screamed from some artwork to be painted on it, he left mine blank.